We had a nice quiet day in the studio today. It felt like a Sunday, which was a bonus as we will be at the Paramus High School Craft Show tomorrow. 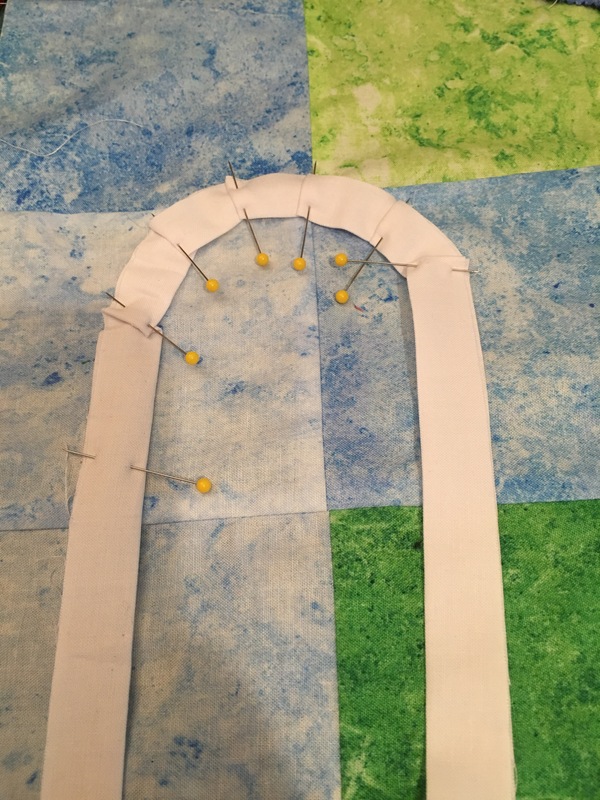 Top on the list was working on my QuiltCon submission. More in this later. Like, when it is done. We also worked on a bunch of custom embroidery orders for customers. 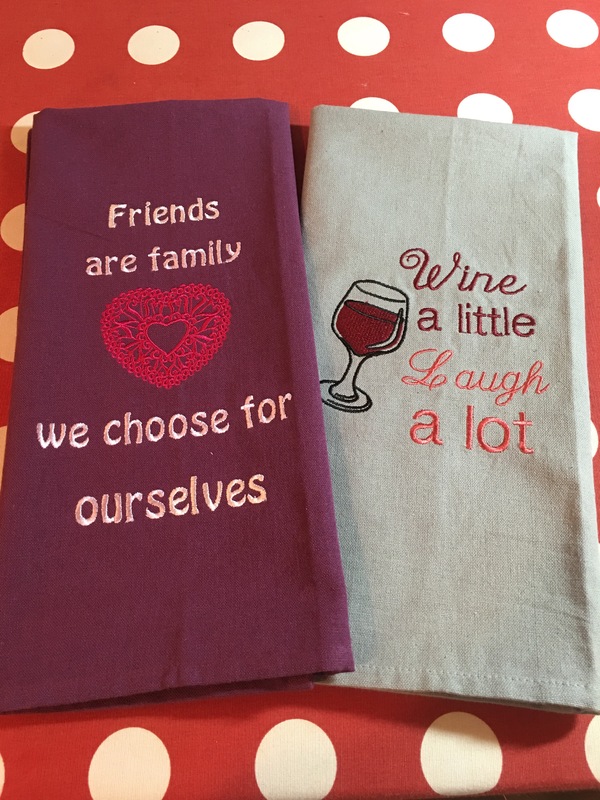 These sweet custom towels are for Jodi. Thanks for ordering again! I appreciate it. 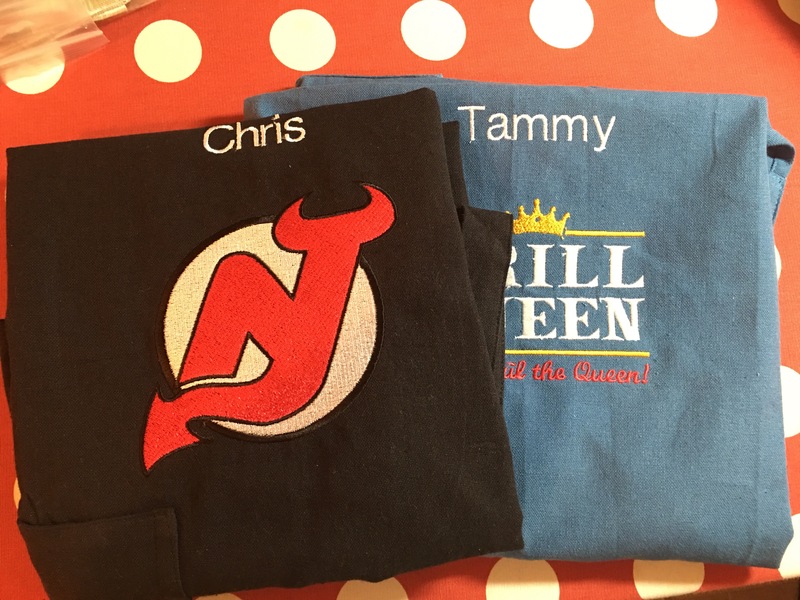 Donna, I hope your family members enjoy their aprons! And what is better than 1 martini? Well, five of course! I love this design which is part of Urban Threads’ Happy Hour collection. 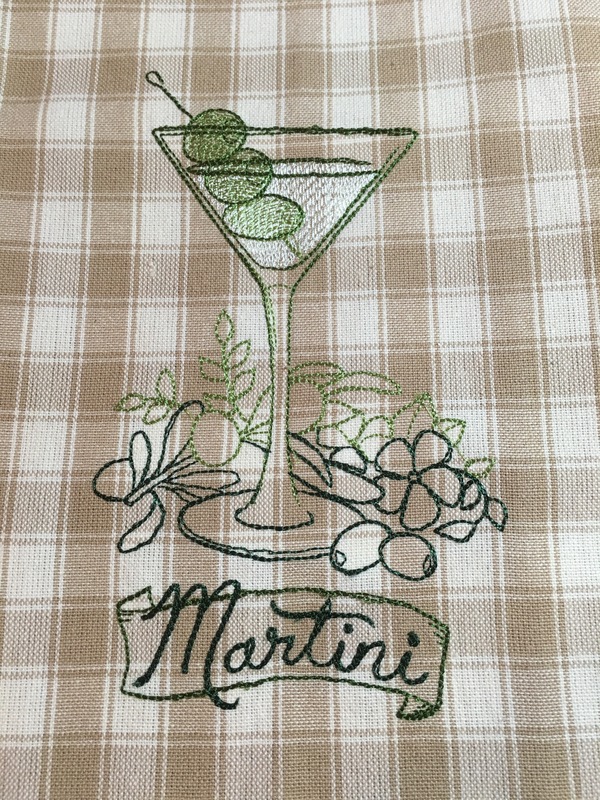 A customer with the last name “Martini” got these for her siblings. Great idea, and I hope they enjoy them. 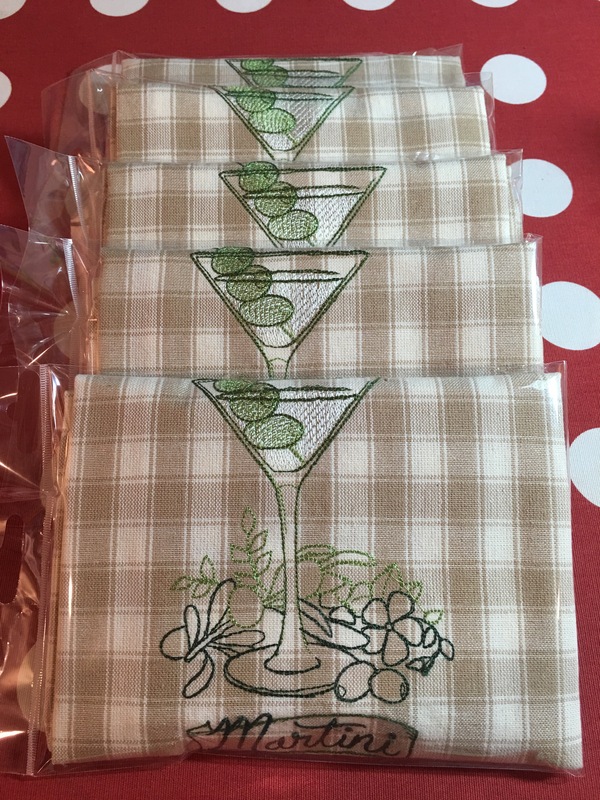 I have a set of six cocktails on towels on my Etsy shop that are adorable. Hope you are having a fun and productive weekend too!